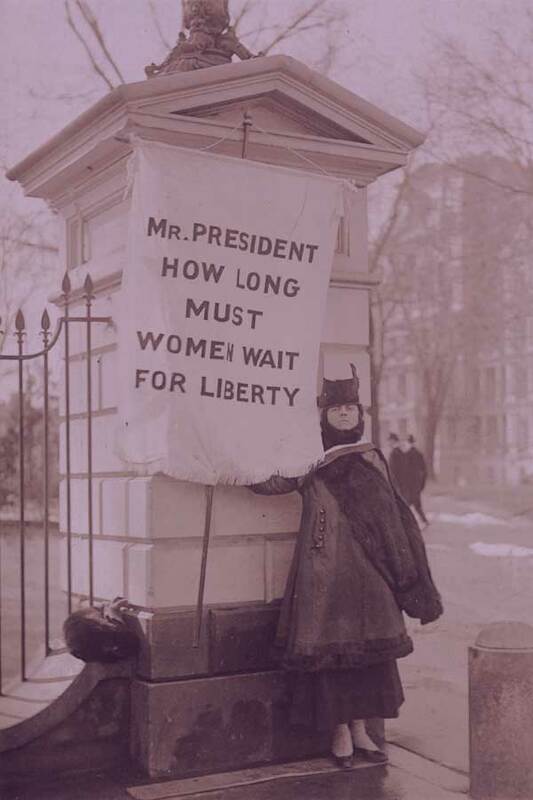 The 19th Amendment granting women the right to vote was ratified by the state of Maine in November 1919. It was officially adopted as part of the U.S. Constitution in August 1920. "Silent sentinel" Alison Turnbull Hopkins at the White House on New Jersey Day. United States Washington D.C, 1917. Photograph. https://www.loc.gov/item/mnwp000222/. Women’s suffrage was one of the most successful political movements in history. It nearly doubled the American voting population and changed society’s ingrained, supposedly immutable view of women.